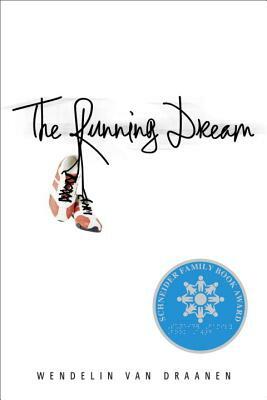 Sixteen-year-old Jessica is a runner. A good one, too. But only hours after she set a new league record in the 400 meter, an out-of-control truck hit the school bus that was transporting the track team, killing one member and injuring Jessica severely enough that they had to amputate her leg. And for a runner, that is the worst thing possible. This book, thankfully, is not about the accident. Though there is some talk about insurance and liability — the driver of the other vehicle doesn’t have insurance coverage — it is mostly about Jessica’s recovery. It’s not an easy one: she has to learn to adapt to only having one leg, and the stares that generates. Then, she has to adapt to wearing a prosthetic leg (I didn’t know about the cost of prosthetics or about the time and logistics involved in getting them). And then, finally: she and the track team raise the money to get her a running prosthetic. And along the way, Jessica makes friends with Rosa, a math genius with cerebral palsy, who wants to be seen for herself and not her condition. In fact, that’s the whole message of the book: the call to see people for who they are not for what hinders them. However, while I felt the book definitely had a message, it was done in such a way that it didn’t feel preachy. I actually understood Jessica’s pain — emotional more than physical — and her uncertainty and doubt. I actually cheered when she made milestones, and was touched at the outpouring of goodwill from the community. Van Draanen created characters and an inspirational story to surround her message, and so her message went down smoothly. In fact, I thought this book was sweet and touching. And definitely worth the read.